People use Social Media to get inspired and discover things they care about – and that includes content from brands and businesses like yours. Your Social Media Networks like Instagram, Facebook or Twitter represent your business and are effective tools to build loyalty, trust and engage with your audience. Not sure which channel to focus on? Need support with getting on top of your Social Media game? We know how to help. Not everyone has time to manage their social media accounts but everyone knows how important it is to have actively managed profiles and growing online fan base. At Sinkus Studio we work together with you to detect your most effective social media channels, set goals and develop social media campaigns that connect with your target customers and align with the branding. As part of our Social Media Management package, we take over responsibility of managing your social media channels and engaging with your community. We choose the best content for you, create engaging posts, prepare creative graphics optimized for each specific social network and post it regularly on your social media accounts. All to boost your brand’s visibility, engagement and sales. We have experience in managing and growing accounts on Instagram, Facebook, Twitter, Pinterest, Linkedin and Youtube. 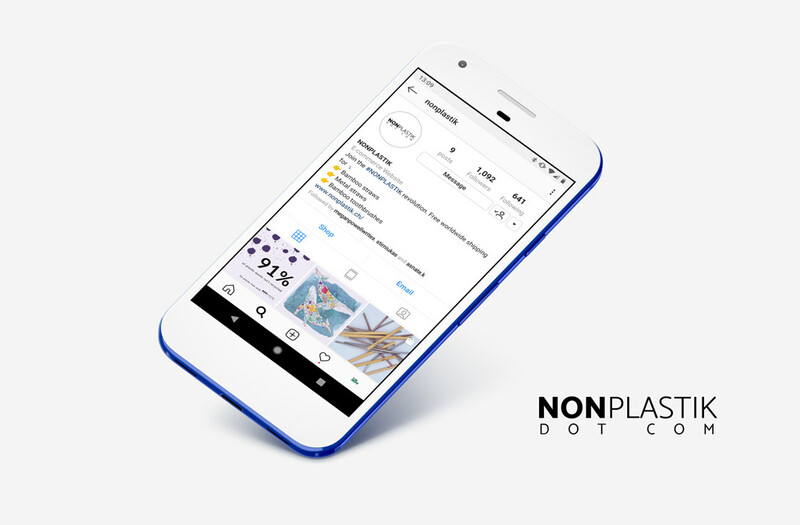 A new zero-waste and non-plastic online shop in Switzerland running under the brand NONPLASTIK was looking for an Instagram account strategy followed by a full range of design and account management services. Results: Effective content strategy, design templates aligned with the company’s branding, 13% average engagement rate and over 1’000 followers growth in 4 weeks. In addition to your regular Social Media posting campaigns, we offer Targeted social media advertising campaigns to support your efforts by retargeting people who have already shown interest in your business on Facebook, Instagram, and Linkedin.